To take a VIRTUAL TOUR of the Villa, please click on Photo No 3. Located at the Ridge Villas, next to the Ritz Carlton Hotel, Unit 323 has panoramic whitewater ocean views from the Island of Molokai to Honolua Bay. 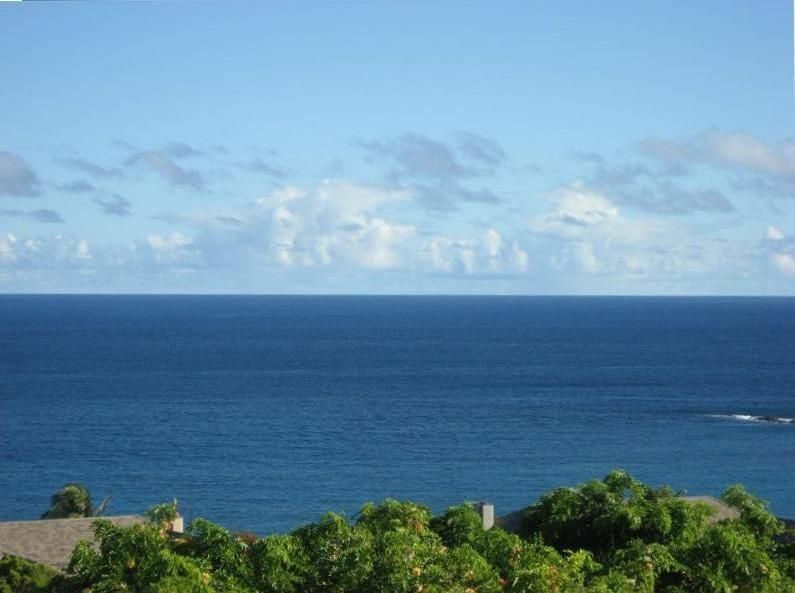 It's a great Villa to see the whales breech and spout during migratory season, the sailboats and vessels passing between Molokai and Kapalua, and, at night, the lights from neighboring Molokai. This Villa has several features that distinguish it from other units in the Ridge Villas. Because of it's desirable views and location, it served as the model home for the Ridge Villas. It has since been highly remodeled. It is located in the first row of Villas closest to the ocean and faces the ocean directly above Oneloa Beach enhancing the sounds of the ocean and surf below. It also sits on a ridge and catches the trade winds coming off the ocean providing cooling breezes. This spacious one-level unit is approximately 2200 square feet including the large wrap-around lanai encircling the living room and dining area and the private lanais for each bedroom. It is located on the quieter top floor of a two-story building with only four other units. It's a corner unit that offers more privacy, more natural light, and cross-breezes. Often, Kapalua's personable red crested cardinals will stop by for a visit during breakfast. For more features and special golf discounts available to guests of the Villa, please see below. To take a VIRTUAL TOUR of the Villa, please request a link to the video..
Master bathroom has separate his & her vanities and a double walk-in shower with twin rain shower heads. Guest bathroom has separate his & her vanities and a full tub with shower. Third bathroom has a full shower. Walking distance to Oneloa Beach. Complimentary beach chairs, mats, bodyboards, children's pool and beach toys, coolers, picnic basket, etc. in Unit. There are panoramic ocean views from the living room, dining area, kitchen and both bedrooms. The master bedroom and guest bedroom have air conditioning. Flat-screen televisions in living room and each bedroom. The Unit has complimentary beach chairs, beach umbrella, ice chest, and snorkel gear. This Unit offers special golf discounts to our guests at both the Bay and Plantaion Courses. Please inquire at time of booking. Across the driveway from Unit. Within the immediate area: Kapalua Beach, Napili Beach; Oneloa Beach; Kapalua Coastal Hiking Trail; Honolua Store for fresh produce, deli and upscale coffee/expresso bar; The Kapalua Spa (World Luxury Spa 2012 Winner); The Kapalua Tennis Garden. This Unit has access to the complimentary Kapalua Shuttle servicing Kapalua. Kapalua features 2 signature golf courses: The Plantation Course host of The PGA Hyundai (formerly Mercedes Benz) Tournament of Champions and The Bay Course former host of The Kapalua LPGA Classic. This Villa offers to its guests special golf discounts at both courses. Please inquire at time of booking.